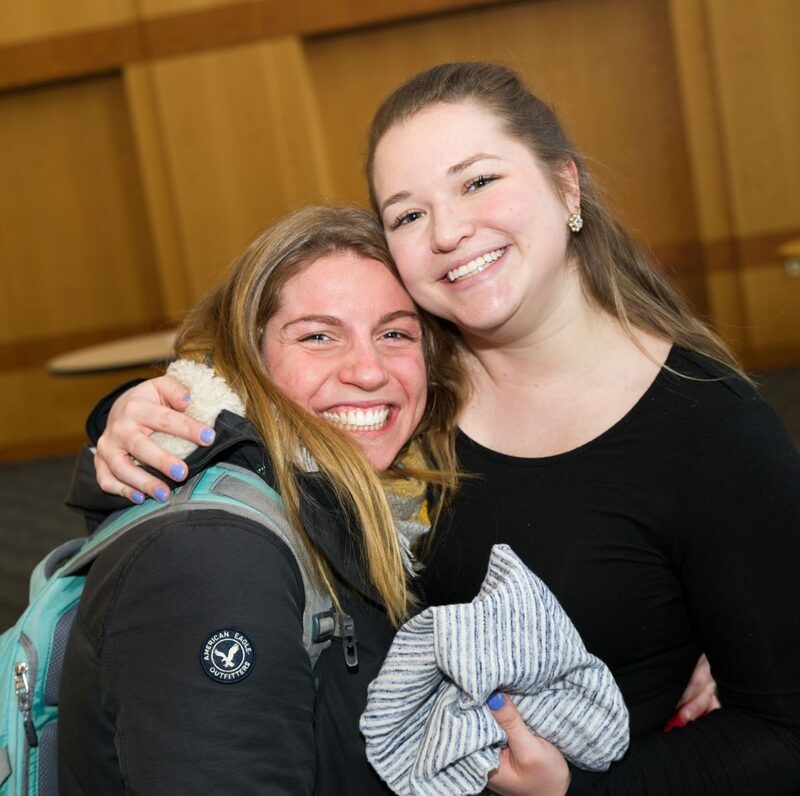 Participants in the “Sisterhood of the Traveling Scarf” will pass their scarf to another community member and share stories of their experiences at JCU. 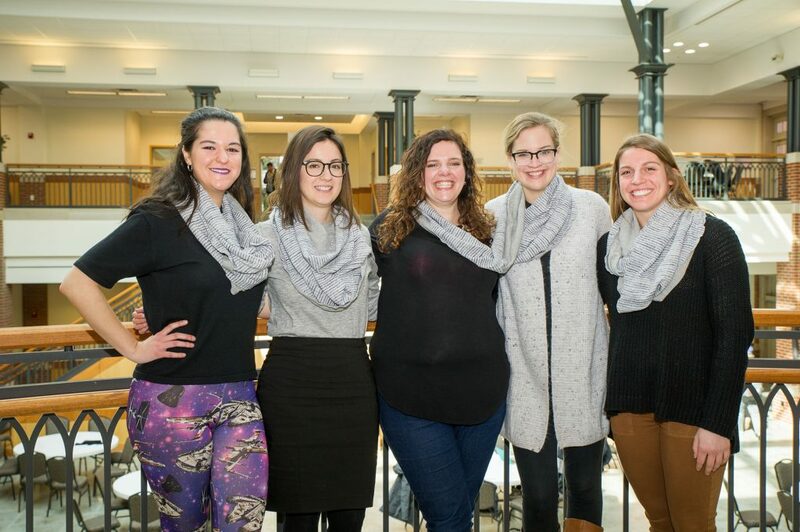 Faculty, staff, student, and alumni participants will wear one of four custom-made scarves for a day, and then pass it along to the next person. In doing so, they will make a new connection on campus while sharing stories of their JCU experience. 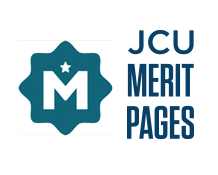 Written reflections will be posted as a running blog on jcu.edu, beginning on Monday, March 4. The program runs throughout the month of March, and was funded by the Boler College of Business. The scarves are sustainable, and were created by designer Kelley Jordan; her work can be found at kelleyjordan.com. On Thursday, February 28, participants gathered for an Open House in Dolan Science Center, formally kicking off the campaign with stories and dessert. Jill Kobus Johnson recorded a welcome message for participants, as well as a formal kickoff message, which can be viewed below. For more information on Sisterhood of the Traveling Scarf, contact Lauren Fraser at lfraser@jcu.edu.